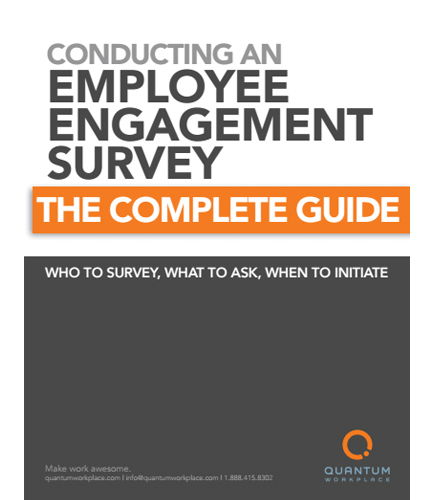 "Guide to Conducting a successful Employee Engagement Survey"
In order to effectively measure employee engagement, you need to analyze your current employee data to ensure in-depth results? Are you asking the right questions? Is your survey date optimal for employee participation? Your organization’s engagement won’t improve if you don’t do something about it. It’s time to take action. and make work awesome!Read this whitepaper to know more..
WHO DO I SURVEY FOR THE MOST EFFECTIVE FEEDBACK? HOW DO I SET UP EMPLOYEE DATA? WHAT QUESTIONS ACCURATELY MEASURE ENGAGEMENT? WHO SHOULD CONDUCT MY SURVEY?